Our visit to Glacier National Park began with probably the most important "must do" of any visit: driving Going-to-the-Sun Road, one of the most spectacular mountain highways in the United States. 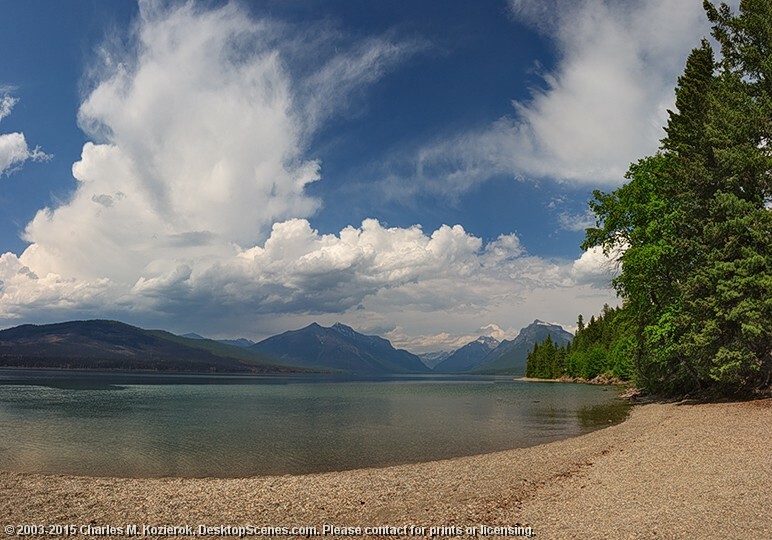 Our first stop was Lake McDonald, an oblong body of water whose southern shore hugs the westernmost several miles of the road. The beautiful rocks and calm water were a joy for our children, while the soaring clouds portended storms we'd dodge for the rest of the day.